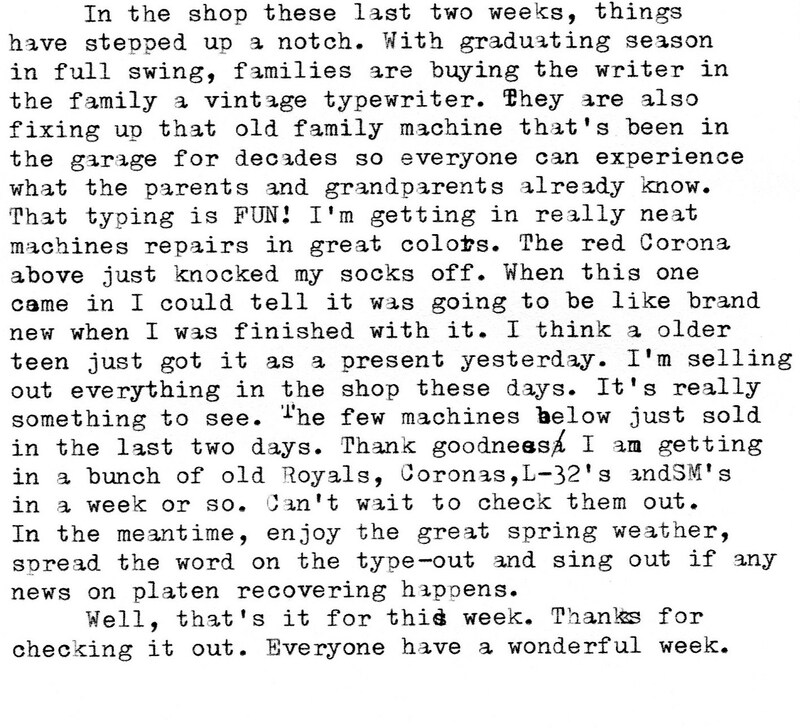 I don't see many Corona typewriters this nice. I like this machine so much I have to show it twice. This machine looks way better than the picture came out. The owner of this beauty calls her Pinky. This SM-3 is heading south. 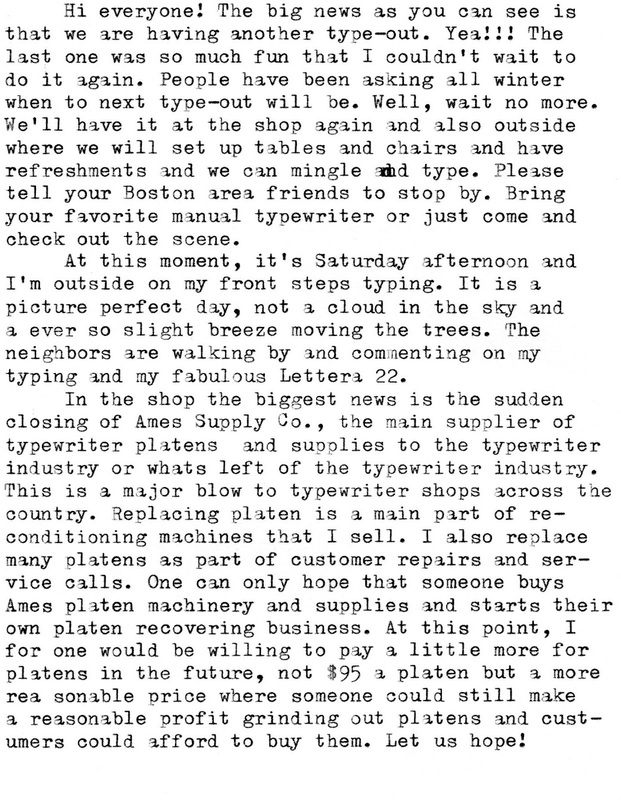 Those are some fantastic looking typewriters. It is great that you are keeping busy. I'd love to make your type-out, but I'm committed to being out west to catch the transit of Venus where there's a 95% chance of sunshine! 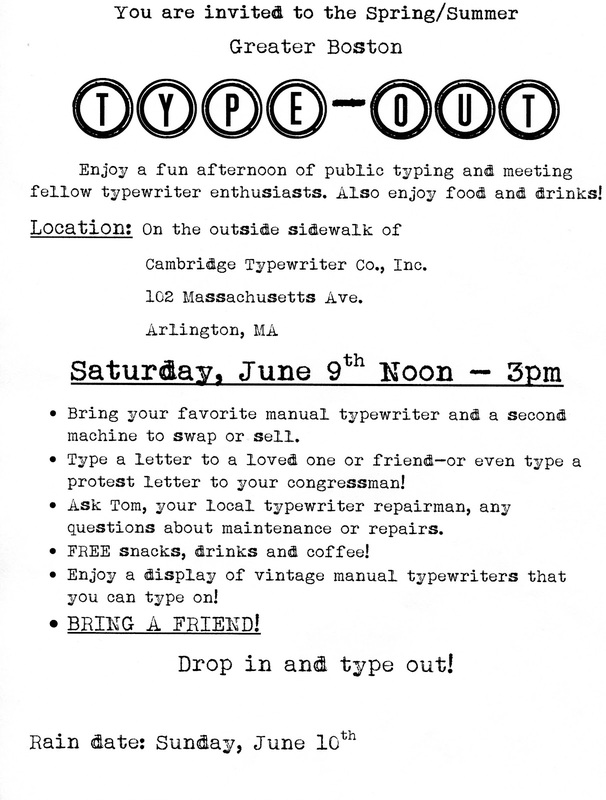 Love the typeout idea! Sweet typewriters in your pictures. 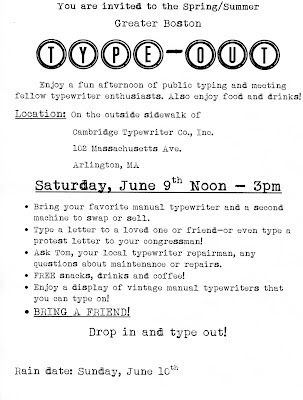 Great slogan, "Drop in and type out." That "mountain ash scarlet" Corona is gorgeous, like new. I found one almost as nice on craigslist a couple of years ago and prize it. Ted: Does it have the rose gold painted panels too? 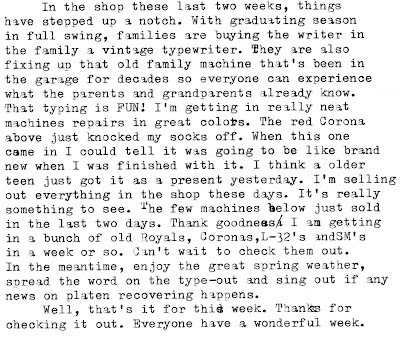 Those are some really good looking typewriters. The red Corona 4 is absolutely amazing. 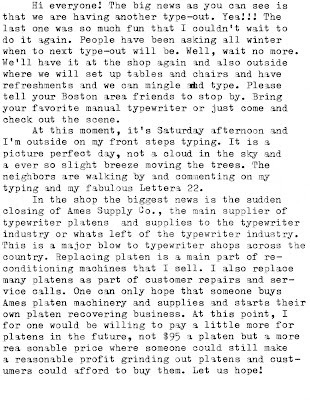 And it's good to know that business is going well, the more typewriters are sold the more typewriters' enthusiasts of arise! Red Corona's hot! And excellent paint. As for Ames, I wonder what precisely is involved in recovering a platen once it is off the machine? Is it just a hard rubber tube slipped onto the core or is it molded on and machined to a finishing diameter? Apart from the specifics of the rubber compound, I can't imagine the process being beyond the ingenuity of someone with a workshop, a lathe and a customer base. As ever, thanks for posting! Thanks for your wonderful comments everyone. Rob- I think there is a little more to platen recovering than we think. I'm told it is a labor intensive product. Let's hope someone takes it on.